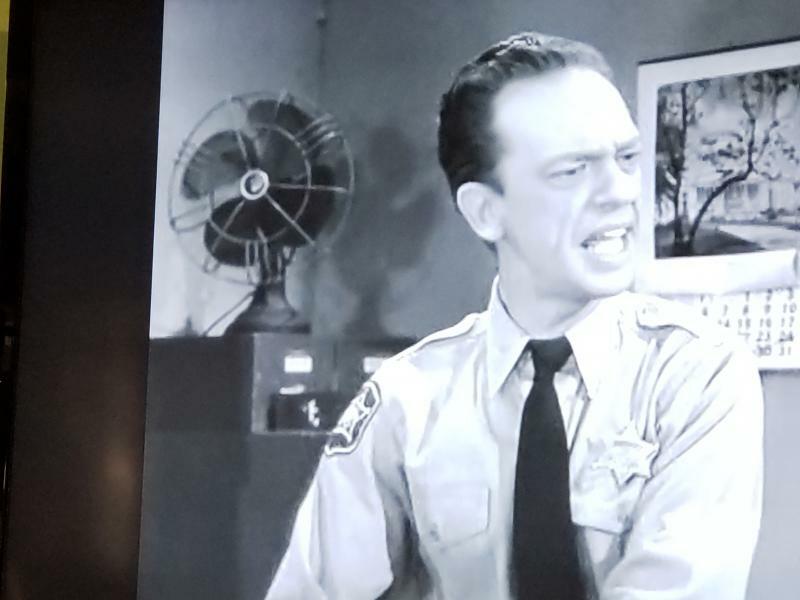 AFCA Forums > Antique Fan Collectors Association > Post-1950 (Vintage) > Barney Fife got a fan! Wut is it? Almost forgot! I had this installed yesterday too! 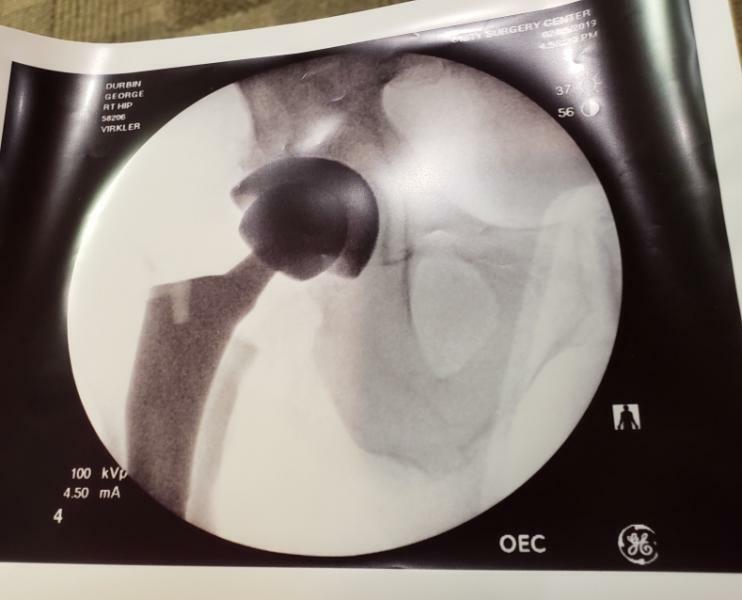 That's a Cool Spot, and what looks like a new hip. Ding ding ding u R right on both accounts!! Hopefully you're getting through the pain, just walk as much as you can. Duane Burright wrote: Hopefully you're getting through the pain, just walk as much as you can. The pain is survivable so far... I have plenty of hydrocodone to help... But it is sore sore sore! Thank you for your concern! Get well quick and dont cheat on the exercises . That fan was in the early episodes. There was a different fan in the newer episodes, it was a Kord. It is on display at the Andy Griffith Museum in his home town of Mt. Airy, North Carolina. They have a display of the courthouse. I'll see if I can find a pic of it and post it. Congratulations on the new hip, George. I am assuming this is a new GE hip? Seriously, though, it looks much like mine. I can claim about a 95% improvement after my surgery. The good news was that, after the first week, the recovery was pretty quick. My surgeon told me I needed to take 3 months off work. I told that wasn't going to happen unless he was willing to adopt me. We compromised on 6 weeks with a lot of restrictions. Really, it will significantly improve your life. I still find it amusing that I set off the metal detectors in airports. etc. Sorry the pic came through sideways.Best of luck and a speedy recovery George! 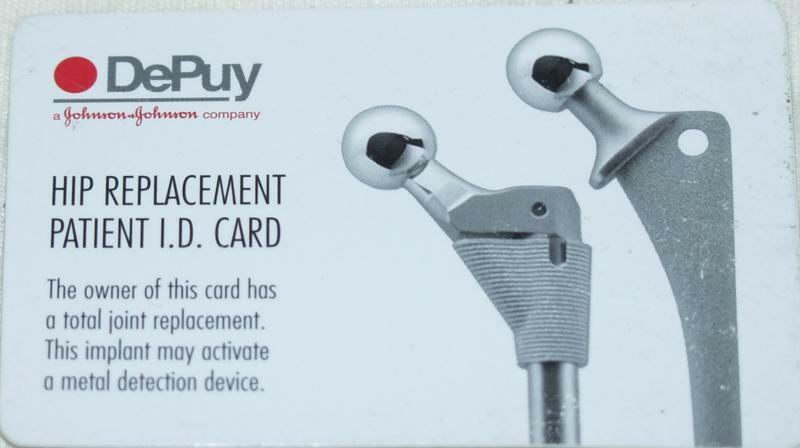 This is the card that I carry. It does speed things up at the metal detectors in that they will wand the specific area to verify the detection and then, let you go. I love the new cane idea, though. Page processed in 0.1809 seconds (19% database + 81% PHP). 29 queries executed.